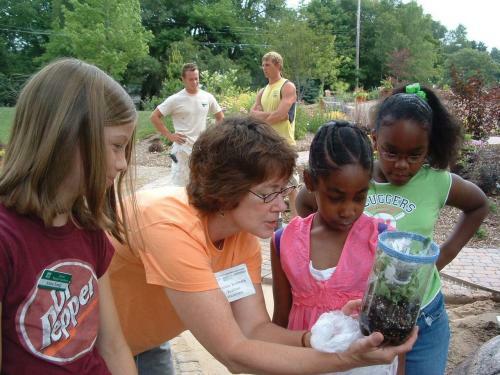 The MSU Extension Master Gardener Program is an adult horticulture education and volunteer leader training program committed to improving science based horticulture information in communities throughout the state. While direct impacts are difficult to measure, using data established by the Independent Sector, the economic value of these volunteer hours equates to over $3.89 Million. The value of miles driven (918,274 miles) in support of volunteer educational outreach equates to an additional $128,558 million contribution. In total, the MSU Extension Master Gardener Program’s economic contribution to the State of Michigan in 2018 was $4.02 million! 2018 Statewide Summary Report. Being in the Extension Master Gardener Program requires only an enthusiasm for gardening and a willingness and commitment to volunteer, sharing science based education. Applicants attend training classes to learn basic horticulture principles and environmentally sound practices. Once they complete at least 40 hours of education focused community-based service, they earn the title of certified Extension Master Gardener. Through continued education, knowledge sharing and creation of more livable communities, the MSU Extension Master Gardener Program continues to make the Great Lakes State one of the most diversely beautiful states in the country.